In less than a week, WARDJet will be hosting the second annual Open House. Visitors are welcome between 8am and 4pm on Wednesday, October 8th to check out the latest in waterjet technology. Lunch and refreshments are provided; please wear long pants and closed toe shoes as WARDJet is a production facility. Register by visiting the Open House webpage now! During the Open House, WARDJet will debut the brand new WARDKit line of waterjets. 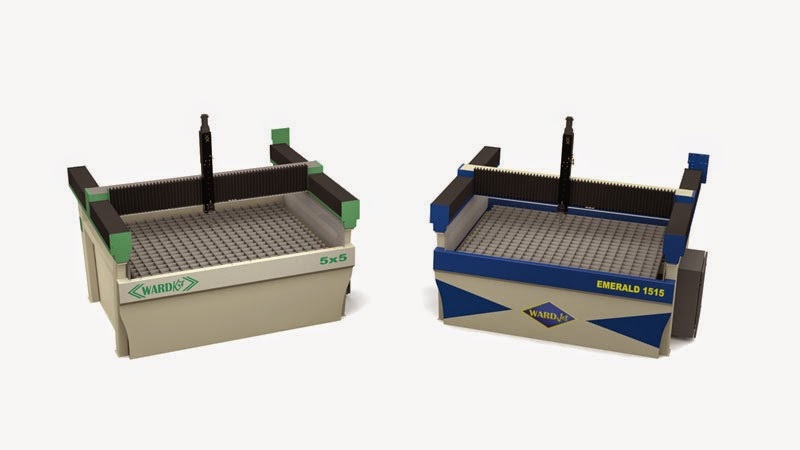 Starting at $65,000, the WARDKit offers the same quality and engineering of an Emerald Series waterjet for 40% less. See how easy it is to assemble the WARDKit on October 8th by using high-tech augmented reality glasses and detailed render instructions - it will blow you away! • WARDJet is Mile High!